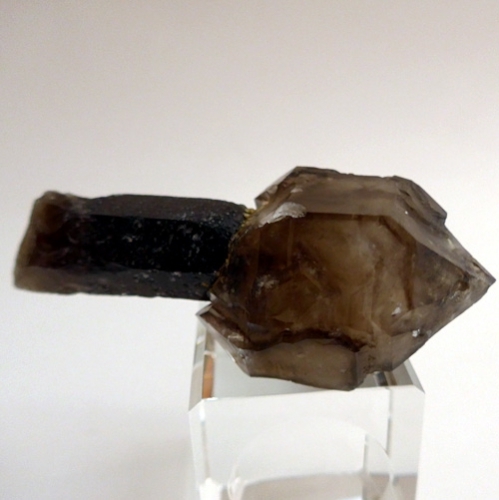 Dimensions (HxWxD): 4" x 1.75" x 0.75"
This rare, translucent Hallelujah Junction Clear Tip Smoky Scepter, in excellent condition, is from Hallelujah Junction in Nevada. 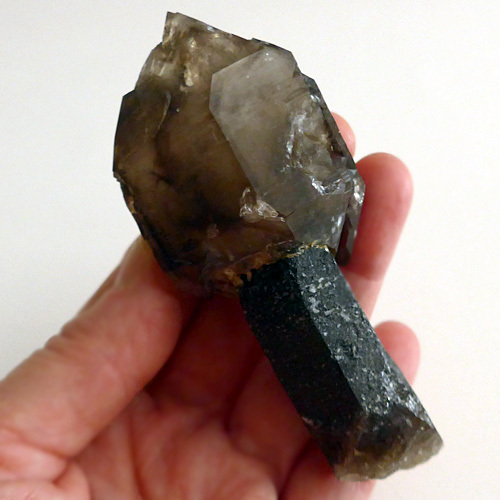 These smoky quartz wands are of exceptional quality, with substantial value as mineralogical collector's items, and a unique energy signature that renders them very valuable tools for meditators, engergy healers and Lightworkers. 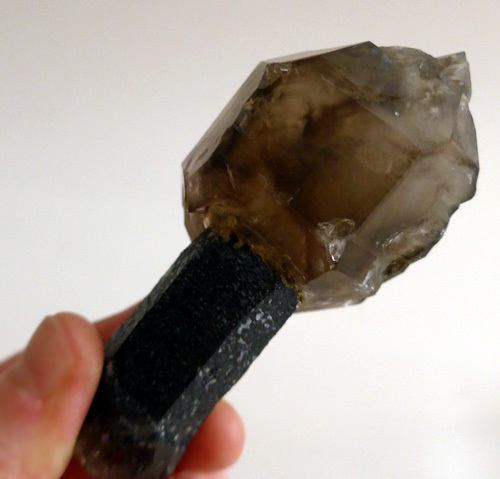 And scepter formations are even more rare! 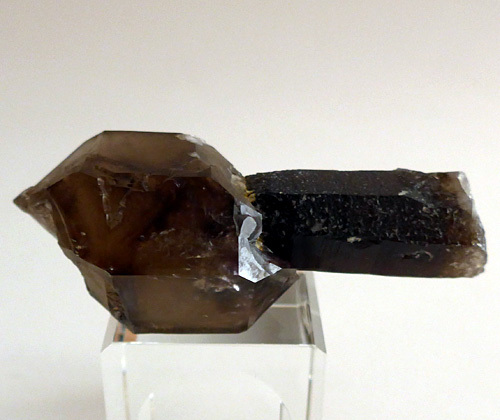 It is too bad that this amazing Hallelujah Junction Smoky Quartz Scepter with its large termination 'head' came out of the mountain with a big piece missing off of three of the six termination faces as viewed in the photos on this page. 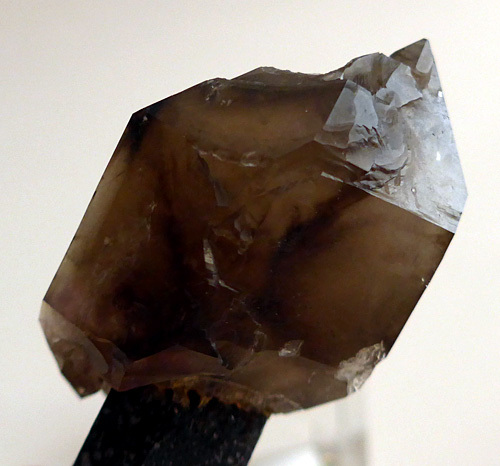 If it were intact, it would more likely cost in the range of thousands of dollars as the scepter formation is so clear and beautifully displayed on top of the dark Smoky Quartz stem. And in no way, does this formation mar the beauty or efficacy of this amazing power wand.